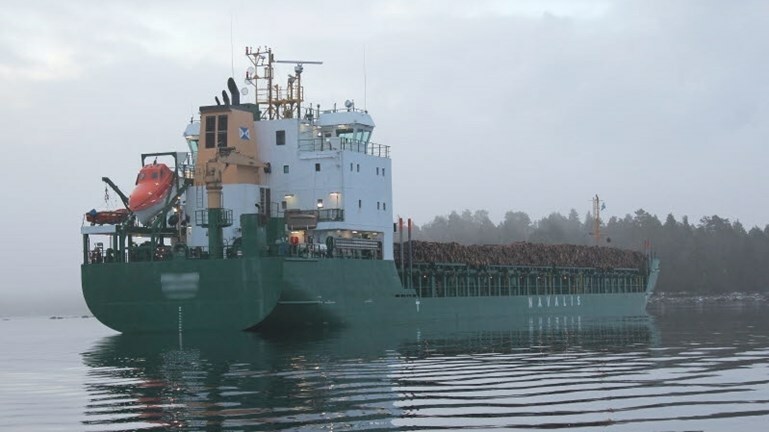 The Maritime Administration’s inspector was on the grounded vessel at Mönsterås on Wednesday morning. The ship has now been lost, announces the Coast Guard. “The vessel has begun moving, said the commander, he was afraid that the propellers could be damaged,” said Tommy Andersson, head of the Navy Naval Area Kalmar, for P4 Kalmar on Wednesday morning. The plan was first that the cargo would be lifted, thus being reloaded to other ships, and that the salvage would be done after that, but the ship could back up on it’s own after emptying the ballast tanks. The ship’s rudder works again. Rescue divers will investigate the hull during the day. It could have ended with an oil spill when the big ship loaded with pulpwood lost control, but the crew did everything right. 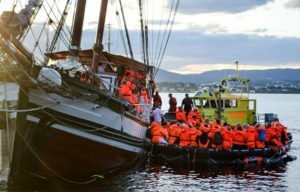 As a result, the ship was running at relatively low speed late Tuesday afternoon. On board there were over 300,000 liters of diesel, which could have long-term effects in the marine environment if there was a hole in the hull.